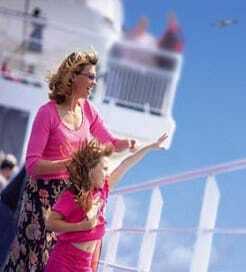 With Directferries.com you’ll find the full selection of Ferries to Zante with the best ferry companies ensuring you find the most suitable option. We have all options to Zante covered with a large choice of crossings from the shortest and cheapest to the longest and most luxurious. Follow the links of various ferries to Zante below or to compare timetables and ferry prices now simply enter your details in our 'Fare Search'. For more information, please visit our Ferries from Italy to Zante page. For more information, please visit our Ferries from Greece to Zante page.